UCompareHealthCare.com (“UCompare”), based in Marlborough, Mass., provides dynamic Web-based interactive tools to help consumers both measure the quality of and find healthcare services, healthcare providers and healthcare facilities. 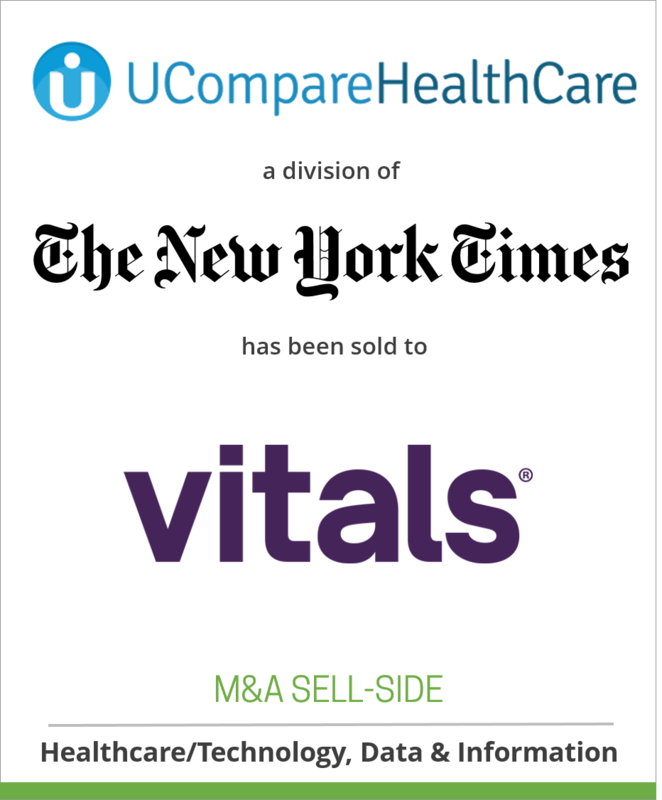 The Times Company acquired UCompareHealthCare.com in March 2007 to enhance the About Group’s health vertical, which it accomplished. The sale has closed. Terms of the transaction are not being disclosed. The New York Times Company, a leading media company with 2010 revenues of $2.4 billion, includes The New York Times, the International Herald Tribune, The Boston Globe, 15 other daily newspapers and more than 50 Web sites, including NYTimes.com, Boston.com and About.com. The Company’s core purpose is to enhance society by creating, collecting and distributing high-quality news, information and entertainment. MDx Medical is focused on a helping patients find and engage with healthcare providers that are right for them. This includes: empowering consumers with a variety of transparency and decision support tools, allowing them to rate & review doctors, facilitating online appointments and helping patients prepare for their medical visit. The investors and shareholders in MDx Medical include Cardinal Partners, Cross Atlantic Partners, Greycroft, Milestone Venture Partners and Health Venture Group. The Company was founded in 2006 and is based in Lyndhurst, NJ. SOURCE: The New York Times Company, Click here to see the original press release.